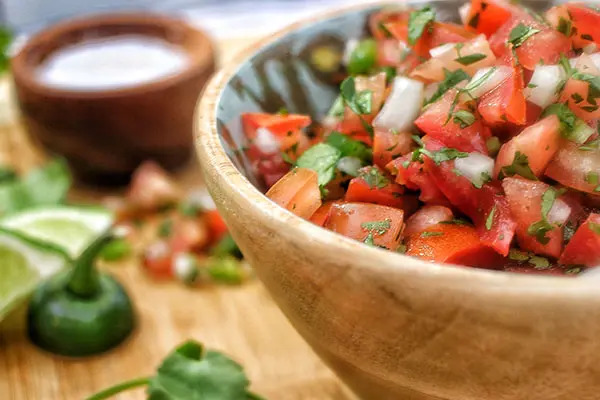 This Pico is a huge hit in my family. To be honest, I’ve never actually finished making a batch before someone is sampling. 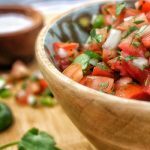 It’s great with the usuals of course—chips, quesadillas, in queso dip, along side fajitas, etc. 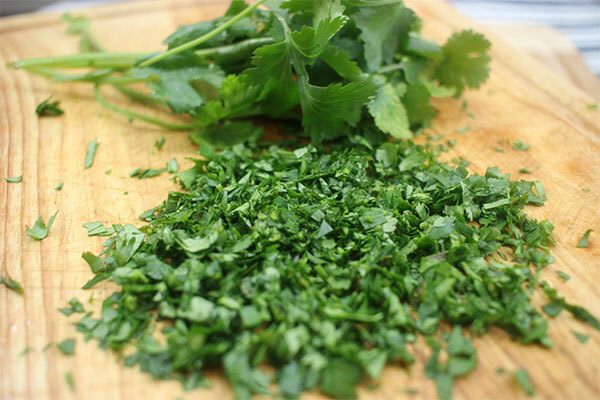 But don’t be afraid to try this with grilled chicken or fish. What’s best: It’s so dang simple to make! The down side is this stuff doesn’t keep more than a day or so before it gets really watery. The up side is, you won’t have to worry about it lasting more than a day…it goes quick! Step 1: Remove seeds and dice tomatoes into 1/4 inch chunks. 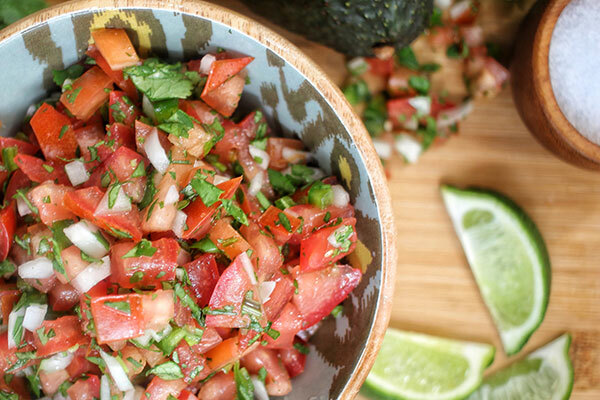 It is important to get rid of the seeds from the tomatoes and only use the flesh; otherwise the pico gets watery. Step 2: Remove seeds from jalapeño and finely dice. I use this seeding tool just because it’s so convenient and inexpensive but if you don’t have one you can use a knife or small spoon. If you want to turn it up a notch on the Scoville scale, leave half or all of the seeds in as that’s where the heat comes from. Step 5: Combine all ingredients into a mixing bowl. Step 6: Squeeze the juice of 1 lime into the bowl—you can do this with your bare hands, or save some time and effort and use a squeezer. Add a pinch of salt. Mix thoroughly. I tend to like my pico a bit salter, but add to your preference. Step 7: Add salt to taste. Serve immediately in your favorite festive bowl. 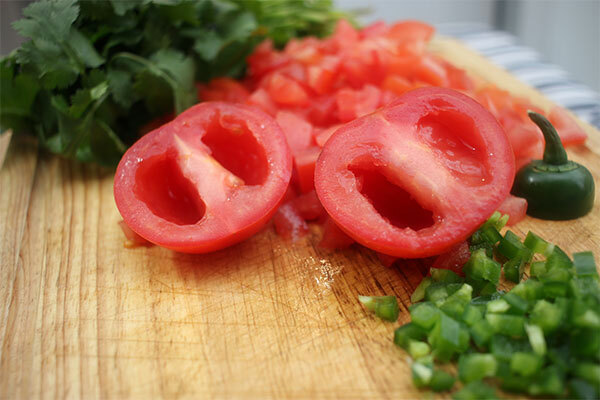 Remove seeds and dice tomatoes into 1/4 inch chunks. Remove seeds from jalapeño and finely dice. Combine all ingredients into a mixing bowl. Squeeze the juice of 1 lime into the bowl. Mix thoroughly. Add salt to taste. Serve immediately. 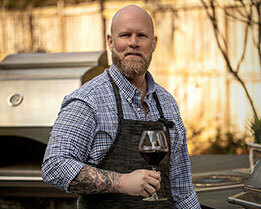 Matt Eads is a former US Marine, self-taught gourmet griller, and cookbook author. Building on a lifelong passion for cooking and the memories of his dad’s less-than-stellar BBQ, Matt has learned the ways of the grill through reading, practical application, and a lot of trial and error.